WHAT IS IT? 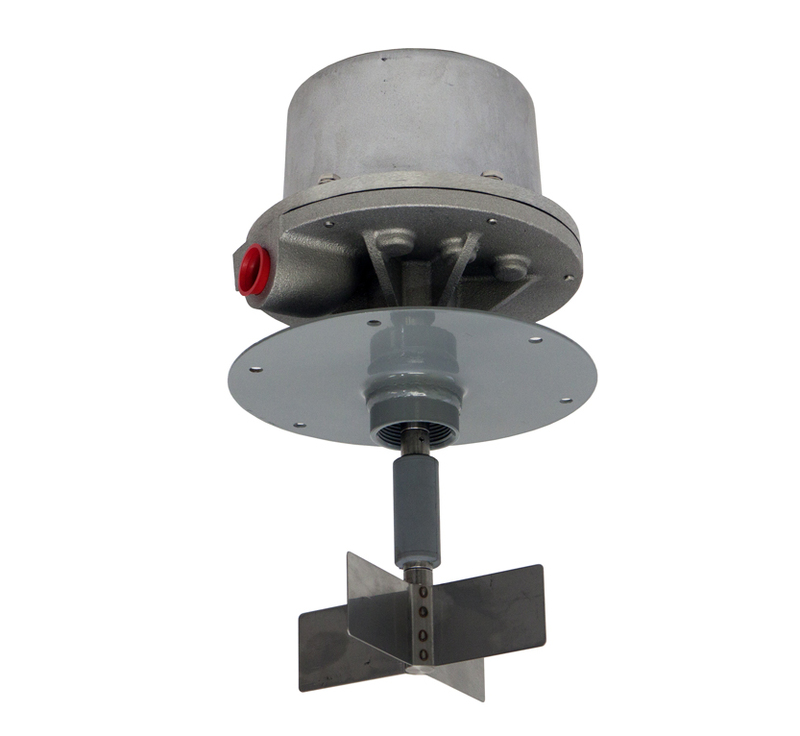 The Model CR is a rotating paddle style level control that can indicate the presence (or absence) of dry bulk material within a bin or hopper. The unit can be equipped with either 1, 2, or 3 heavy duty microswitches to control a variety of functions or alarms. WHY IS IT NECESSARY? The Model CR is designed to provide an indication of material level within a hopper or bin without ever opening up the vessel. Epoxy coating option: add $12.00 to price, and "E" to end of model number. CR-100 1-1/4" Pipe Shaft Guard 0.189/in. $0.78 in. The unit is designed with a field adjustable time delay. General purpose (weatherproof) units and explosion-proof units have (1) 3/4" NPT conduit opening. The units have a dry, unpowered microswitch rated for 20A @ 120 VAC, 240 VAC, or 480VAC. General-purpose units are rated NEMA Type 3 & 4/4X weatherproof and corrosion-resistant. Explosionproof units are rated NEMA Type 7 for vapor explosion proof (Class I, Division 1, Groups C and D) and NEMA Type 9 dust ignitionproof (Class II, Division 1, Groups E, F, G). Dual rated units are rated NEMA Type 4/4X weatherproof and corrosion-resistant and NEMA Type 9 dust ignitionproof (Class II, Division 1, Groups E, F, G).